Progress Can and Will Happen! Has it really been eight years? Wow…some good times, fun times, hard times, miserable times. 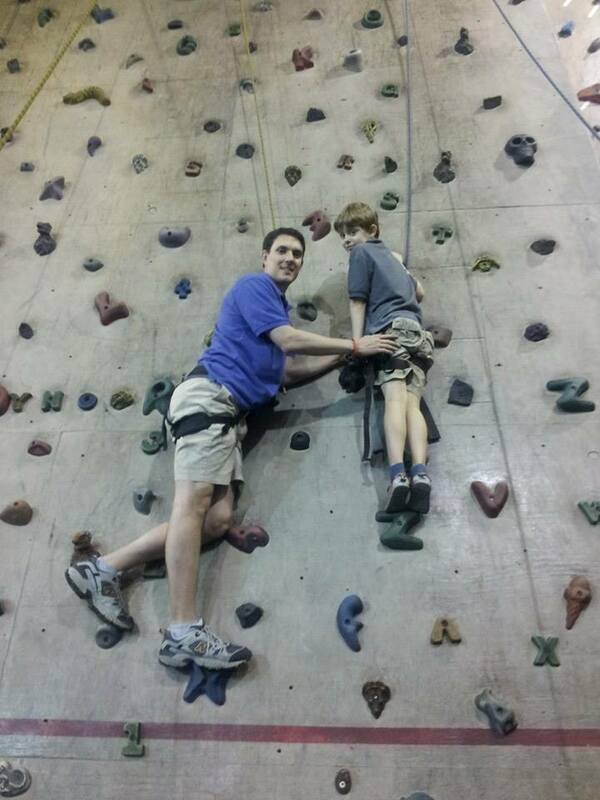 Eight years ago (heck 2 years ago) if you would’ve told me that I would have a son with autism who could climb to the top of a rock climbing gym…I’d have probably said you’re crazy! But that’s exactly what we did on Saturday for his 8th birthday party. We took William and 12 other children to an indoor climbing gym and he had a blast! William scampered up to the top of the wall over and over and over again. I was so proud! This is the same boy who, from ages 2-to-4, would poop and spread it all over his room every single night. This is the same boy who struggled to learn to tie his shoes. This is the same boy who continues to work on his speech and socialization with others. Eight years from now he’ll be 16 freaking years old! Just typing that makes me feel old!!! I don’t know where William will be at age 16. I have thoughts and we have goals and realistic expectations based on history and experiences of others…but I’m not worried about that today. Today I am here SHOUTING FROM THE ROOFTOPS OF THE WORLD…to all you dads (and moms) out there…your child can and will make progress! I didn’t always believe it…I still wish it were more frequent at times…but it will happen. Happy Birthday Mr. William…Wiggy…Wigwammy…little man. I am proud of you and your climbing (and other) accomplishments and am so proud to be your dad…and to share November 18th as our birthday date! This entry was posted in Seth Says... and tagged "daddy blogger" "father's day" "autism" "asd" "autistic" "father and son" "new york city" "the child study center" "look at my eyes", ASD, autism, expectations and autism, indoor rock climbing. Bookmark the permalink. Very encouraging, Seth! Thanks for sharing William’s progress!